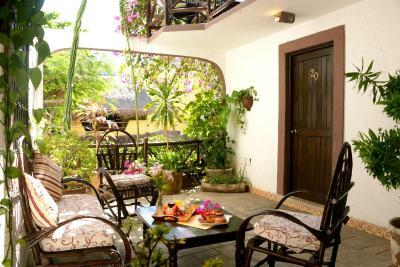 Lock in a great price for Posada Mariposa Boutique Hotel - 5th Avenue – rated 8.2 by recent guests! The location was perfect, right in the middle of 5th Avenue but without the party in your room. 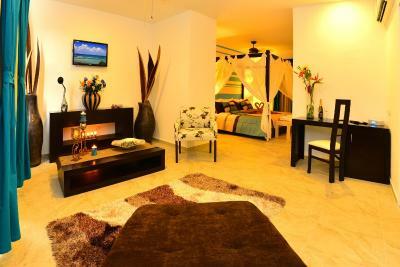 Room was outstanding and very beautiful with wonderful view. 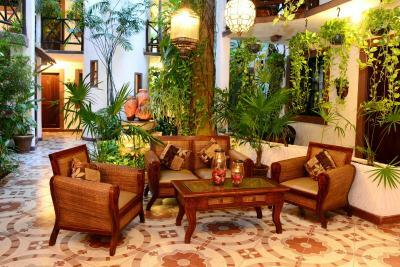 Love this boutique hotel and will definitely return again. I loved its location. It’s near everything and on 5th avenue. 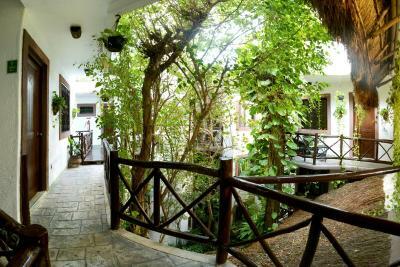 The rooms were quite big, with kitchen and a table, and the location is great, you have everything outside! Centrally located. 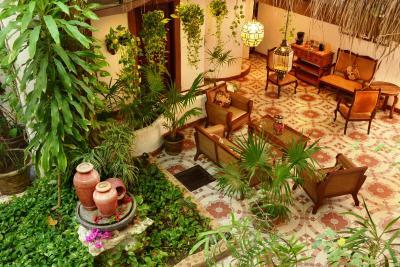 Beautiful garden hotel. Elisa at the front desk was wonderful and helped me in all my questions. 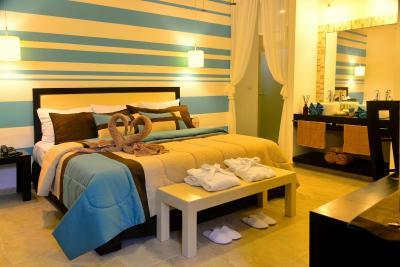 Medium sized rooms but comfortable. Love the property. Perfect location! Beautiful setting! 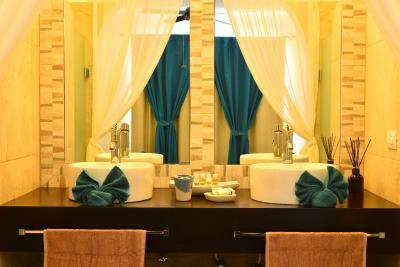 Gorgeous room! My boyfriend and I loved this place! We are coming back here for sure! 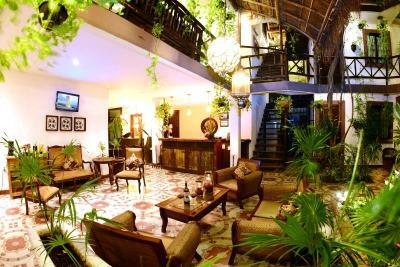 Posada Mariposa Boutique Hotel - 5th Avenue This rating is a reflection of how the property compares to the industry standard when it comes to price, facilities and services available. It's based on a self-evaluation by the property. Use this rating to help choose your stay! 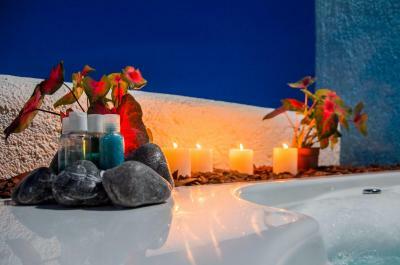 One of our best sellers in Playa del Carmen! 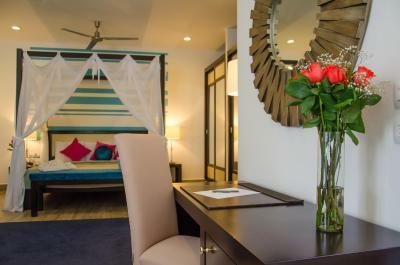 On Playa del Carmen's famous 5th Avenue, an area known as Little Italy, this small hotel offers unique, but comfortable guestrooms, just steps from the beaches of the Caribbean Sea. 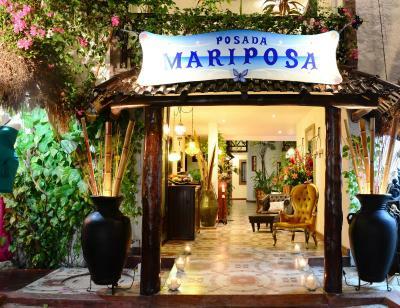 Hotel Posada Mariposa is surrounded by tropical gardens and offers guestrooms and suites with Mexican decor, including hand-made curtains and comforters. 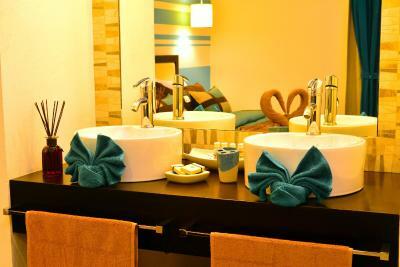 Guests will also enjoy in-room amenities such as free wireless internet access and cable TV. 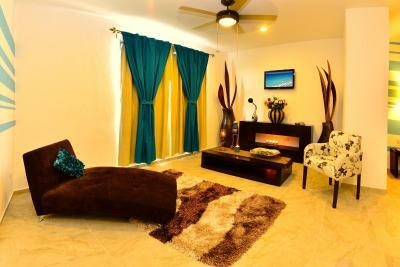 The area around the Posada Mariposa Hotel is filled with activities and attractions to explore. 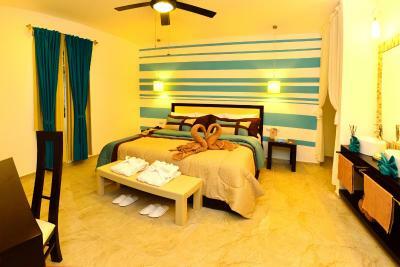 Guests can swim with dolphins, play a game of golf or discover the nearby Mayan ruins just minutes from the hotel. 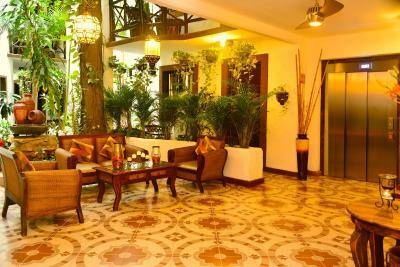 When would you like to stay at Posada Mariposa Boutique Hotel - 5th Avenue? 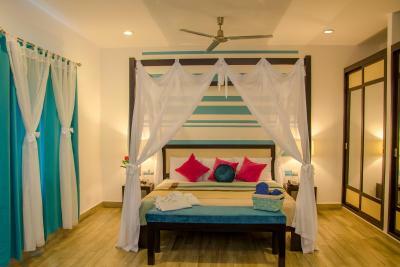 This air-conditioned room features 1 queen bed, 1 single bed, ceiling fan and flat-screen cable TV. 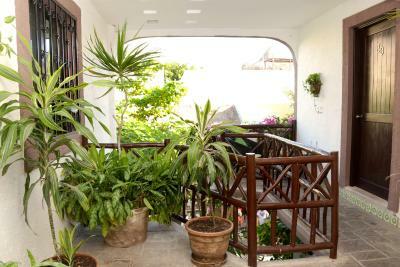 All of these rooms include garden views and some of them have a yard or balcony. 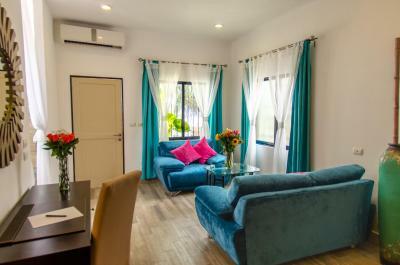 This suite features a full kitchen. 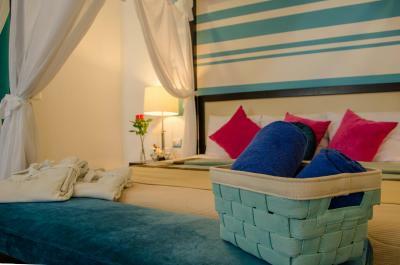 This double room features a iPod dock, mini-bar and seating area. 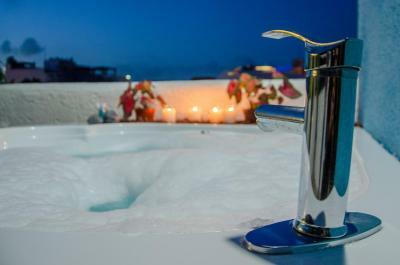 Located on the famous 5th Avenue and only a few steps from the Caribbean Sea, Posada Mariposa is a small and cozy boutique hotel known as the "Oasis" of Playa del Carmen for its beautiful and majestic garden, an environment of tranquility and relaxation in contact with pure nature mixed with the warm and personalized service that distinguishes us, all this to provide an ultimate experience feeling home away from home. 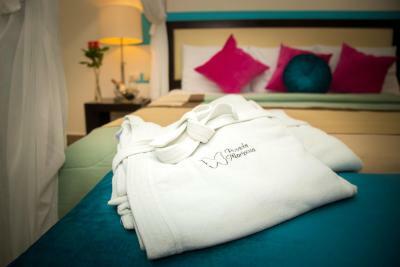 House Rules Posada Mariposa Boutique Hotel - 5th Avenue takes special requests – add in the next step! Posada Mariposa Boutique Hotel - 5th Avenue accepts these cards and reserves the right to temporarily hold an amount prior to arrival. Showers and beds could be improved, beds quite hard (level 4). Don't pay for breakfast. Better options all around. Very loud depending on which room. Beds and pillows very uncomfortable. Staff helpful yet stoicly indifferent. Smoke from others smoking on their indoor sitting area may bother some. Good location. Good value for money. Cute setup. Very comfy, clean, quiet. Friendly helpful staff. 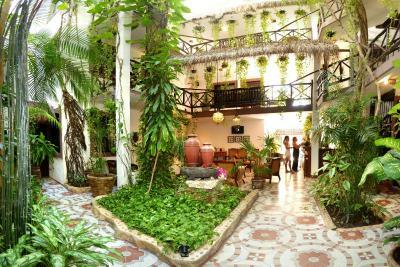 Very pretty hotel, with the spanish style interior open area with many beautiful plants keeping it cool. Impressive towel art!! Shower very hard to regulate. A little music from the nearby bars but ended relatively early and great for the party crowd. 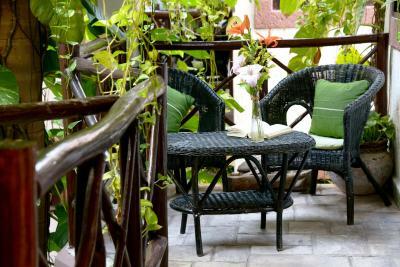 A charming atrium type hotel, with an outdoor feel, right on the pedestrian mall. 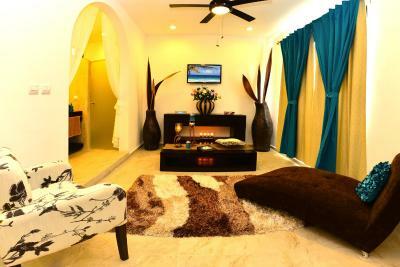 Lovely rooms, well furnished with lots of comfort. Definetely recommend! Extremely uncomfortable beds and hips of mosquitos due to the trees inside the hotel. Hotel rooms and shower definitely need a renovation. The front desk staff did not remind our group that breakfast was included until we were checking out. That really is our own mistake. Everything else about our stay was excellent. 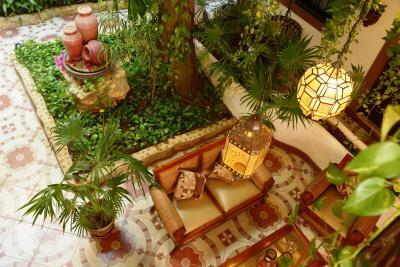 The hotel lobby had comfortable seating and was alive with plants and trees. The key card also is used to activate the air conditioner--very eco friendly. The showers had great pressure and plenty of very hot water. Loud music is a problem at other hotels located on the Quinta Avenida, but it was not a problem here. We enjoyed a quiet night. I love my showers, so I will be critical. Not enough water pressure (had suffered this in another hotel on a previous year?) and hot water took some time. 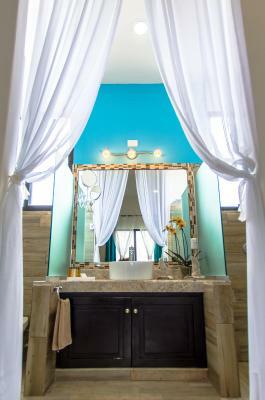 However the shower room, all tiled was great. Double sinks positioned awkwardly and tap loose. Had to request a safety box as none fitted in wardrobe and not enough clothes hangers. Even though the room was good there were some unnecessary furniture and should really require some practical ones for an example chess of drawers with mirror and more chairs. 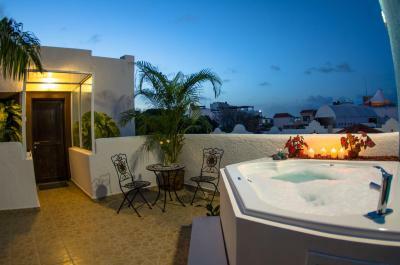 Stayed in the Suite Emperado - 4th Floor street view. 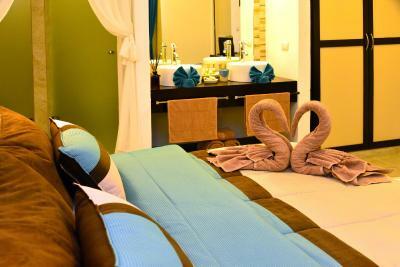 Had a huge and comfortable bed for me and my partner. Location is directly on the 5th Avenue, but no problems getting to sleep despite hearing some noise from tourists - note bars restaurants do close by midnight. Love the reception area you can sit down and relax whilst watching the world go by. Room kept clean and tidy. There is no door for the bathroom only a curtain so no privacy when going to the toilet. The shower had two options cold or scorching hot. The breakfast that we paid for was even less than a continental breakfast- 2 pieces of toast, butter and jam 6 slices of fruit cup of coffee and an orange juice so we ened up paying extra for eggs. The advertised gym is in a building around the corner and the reception has only one membership card so I ended up waiting sometimes 30 minutes or not going at all. 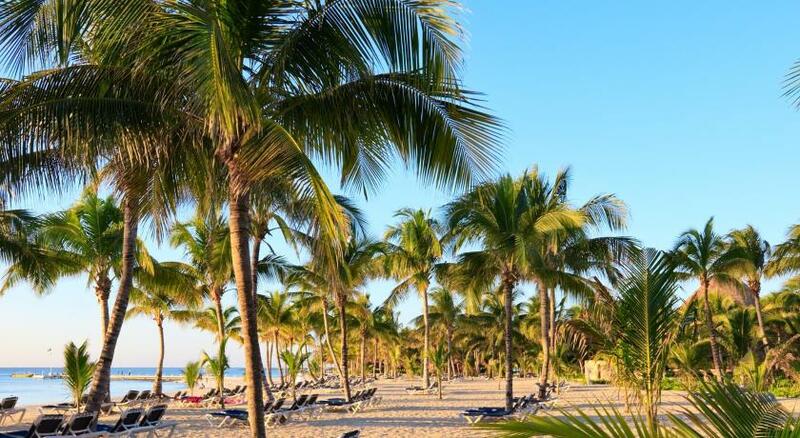 Last but not least my wife used her credit card to pay for the stay at reception and that was the only time she used it in Mexico and ended up having two unothorised transactions in the value of 800 euro.